Diamonds have been known around the world and throughout time as the most beautiful and most precious items on Earth. They inspire romances, mysteries, affairs, and stories, but most of all, they are the spark that lights up millions of imaginations. We are passionate about the unique beauty of fancy color diamonds. However, we have noticed that there are many prevalent misconceptions about fancy color diamonds that can use some serious corrections. With this fancy color diamonds guide, we will share our expert knowledge with you in order to eliminate some of the uncertainties about fancy color diamonds. Whether you are a seasoned diamond expert or you feel that you have a lot to learn, this guide will teach you all the characteristics and qualities of fancy color diamonds. We will touch upon everything from the history of these diamonds through to the unique characteristics that differentiate color diamonds from the more common colorless diamonds, including how fancy color diamonds are graded and what you should be looking for. This guide will not only educate you on this subject, it will bestow you with the tools to become a savvy fancy color diamond buyer. This guide is geared towards consumers, jewellery retail stores, alike. It is also a fine tuning tool for all other diamond industry participants. It can also serve as an introduction to current and future potential investors who wish to delve into Fancy Color Diamonds as an investment asset to diversify, balance and hedge their portfolios. Diamonds have long captured the imagination of the rich and poor, the young and old, the romantics and even the realists. Their beauty and value has made them highly desirable, whether you’re looking at them as a solid investment or wanting to present the perfect symbol of your feelings for someone special. But not all diamonds are equal, and a fancy color diamond is the perfect example of that. A fancy color diamond is one that is not colorless like the typical diamonds with which you may already be familiar. They are diamonds that occur naturally in every color of the rainbow, from brilliant oranges to deep reds, sunshine yellows and velvety black. The fancy or naturally colored diamond is more dazzling and rare than typical colorless diamonds, as it is harder to nature to produce a diamond with color than a diamond with no color at all. Everyone who looks at these diamonds is naturally drawn to a specific color and preference is determined based solely on personal taste. Natural fancy color diamonds occurs at a rate of 1 in 10,000 diamonds mined. Now THAT is rarity. 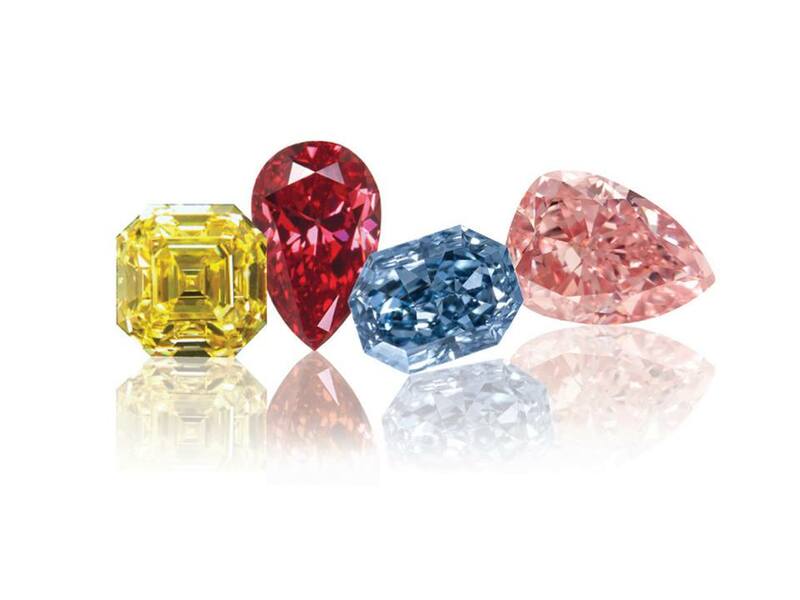 The natural spectrum of colors is so varied that every fancy color diamond is uniquely stunning and expressive in a variety of different ways. Popular colors include yellow, blue, pink, green, violet and the rarest of all – the eye catching red diamonds. These colors, combined with their sparkle and rarity, make fancy color diamonds an incredibly desirable addition to any jewelry collection. What Makes a Fancy Color Diamond? Fancy color diamonds are created naturally in the Earth, which is why they are also known as “natural color diamonds”. The conditions that are necessary to form a diamond with color are very rare, which explains why there is a scarcity of these diamonds in comparison to their colorless contemporaries. A diamond is formed when carbon atoms that are located in a kimberlite deposit under the Earth’s crust (in the Earth’s mantle) shift to form a repeating geometric pattern and thus a crystalline solid. A Fancy color diamond is given its color trait when a foreign element (also known as trace element) is accidentally incorporated into the atoms’ structure during the crystallization process. For the diamond, this is a random and lucky chance that, at the end of the process, will have a remarkable effect. There are a myriad of variations that can happen to a diamond to produce color inside them. Additionally, if more than one chemical process occurs, the diamond can be left with not only a primary color but also a secondary and even a tertiary color, depending on the conditions to which the diamond was exposed. Blue diamonds are created when an element called boron is incorporated during formation, and results in a various shades of blues. Yellow, orange and brown diamonds get their color from nitrogen that was absorbed during the formation process. Green diamonds occur if there was absorption of natural radiation during the diamond’s formation. 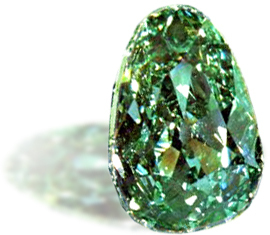 The green tint is mainly found on the surface of the diamond. Purple and violet diamonds are given their color due to lattice distortion, but there is growing evidence that hydrogen may also play a telling role in diamonds of these colors. Red and pink diamonds are essentially forged due to intense pressure and heat that the diamonds undergo as they move towards the Earth’s surface. It is absolutely incredible what nature can do when the right conditions present themselves. As it is, for a diamond to form an incredible number of geological, thermal, and chemical conditions need to be met. After all, diamonds are mined but the Earth’s crust is 35 kilometers thick the Earth’s mantle is 2,855 kilometers thick. 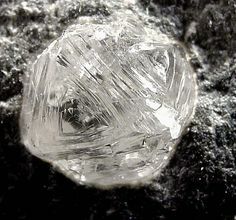 This means that the diamonds, via kimberlite deposits and a few other geological materials, would need to move by natural forces such as volcanic eruptions from the mantle to the crust, and then after the proper equipment deduces that there is a diamond presence there, sophisticated equipment is needed to find the alluvial deposits, dig them out and separate the diamonds. That is just the tip of the proverbial iceberg of what diamonds undergo in order to get into stores! Due to the infrequency of the above occurrences, and the fact as quotes above that only 1:10,000 diamonds is a fancy color diamond, diamonds with these characteristics are extraordinarily rare and valuable, and are treasured by many. The percentages of color occurrences vary by diamond color. For example, pink diamonds are literally one in a million. For every million carats of diamonds mined, only 1 carat is a pink diamond. That is special indeed! Fancy color diamonds often have infamous backstories that make them legendary for numerous reasons. In fact, fancy color diamonds are most of the famous gems throughout history. You have probably heard some of these stories, or some of the tales that were spun about their histories! Blue diamonds are best represented by the 45.52 carat Hope Diamond, arguably the most famous diamond in the world. 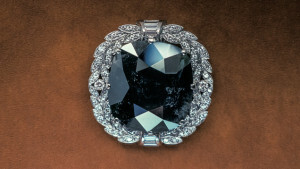 Situated in the Smithsonian National Museum of Natural History in Washington, D.C., the Hope Diamond is valued at over $200 million and has a reputation for being cursed. The “curse” is little more than a marketing ploy that was initiated when the diamonds’ origins were being disputed, as some say that the diamond was stolen from the royalty of India and has cast bad luck on all successive owners ever since. Used as a means to build up the mystery and romance of the diamond, it passed through many hands before it was donated by famous jeweler Harry Winston to the Smithsonian in the 1950s. Red diamonds are the absolute rarest color of fancy color diamonds. They occur so infrequently in nature that only 3 red diamonds have even been found that are larger than 5 carats, and all three are less than 6 carats. 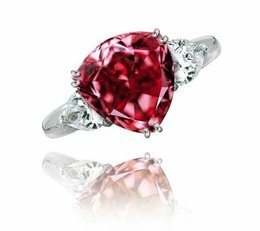 The Moussaieff Red Diamond is the most famous and the largest Fancy Red diamond in the world, weighing in at 5.11 carats. Discovered only in 1990, the diamond has a triangular brilliant cut and is often known as “The Red Shield Diamond”. It is incredibly valuable despite its realtively small size and short history. 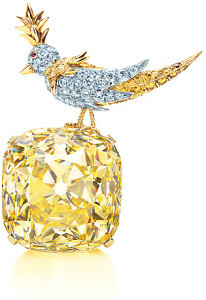 Yellow diamonds immediately bring to mind the famous Tiffany Yellow Diamond. Weighing 128.54 carats, the Tiffany is cut into a cushion shape and boasts 82 facets. The diamond was discovered in 1878 at the Kimberley Mine in South Africa and was only ever worn twice, once by Audrey Hepburn as promotion for the film Breakfast at Tiffany’s. Pink diamonds are best represented one of the oldest diamonds known to man. The magnificent table cut Darya-i-Nur (“Ocean of Light”) diamond is a part of the Iranian Crown Jewels. The rare pale pink diamond is the largest pink diamond in the world, weighing 186 carats. Few other pink diamonds of such an enormous size exist in the entire world. There are few famous green diamonds in the world today. 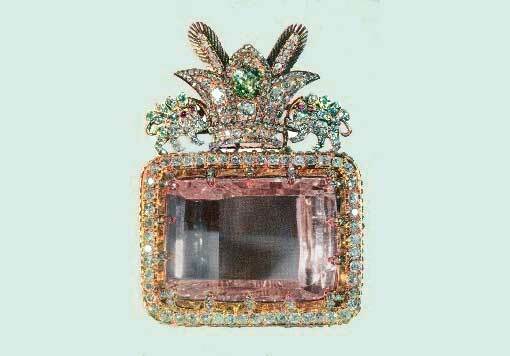 The best known is the Dresden Green Diamond, a 41 carat apple green diamond that is on display at Dresden Castle. The pear shaped diamond was discovered in the early 18th century and is said to be “potentially internally flawless”. 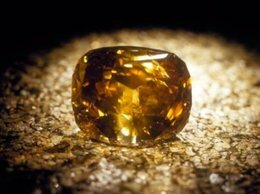 The most famous of all orange is the Pumpkin Diamond, which is a 5.54 Fancy Vivid Orange diamond owned by Harry Winston. The diamond was purchased one day before Halloween, which explains its memorable name. 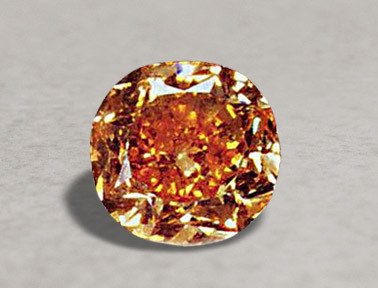 There are few famous orange diamonds in the world, and this is definitely not the largest Fancy Vivid Orange in existence, although it enjoys the biggest reputation. Brown diamonds are usually given more appealing sounding names like Cognac, Chocolate and Champagne diamonds. The most famous brown diamond is the Golden Pelican, a golden emerald-cut diamond weighing in at 69.93 carats. The stone was cut in Pelikaanstraat in Belgium, which is the origin of the famous diamond’s name. Purple diamonds are also amongst the rarest in existence. currently, it is believed that purple diamonds acquire their color in a similar fashion as pink diamonds, via crystal distortion. the majority of purple diamonds originate from Siberia, and are quite small in their rough state. it is extremely rare to find purple diamonds larger than 5 carats. 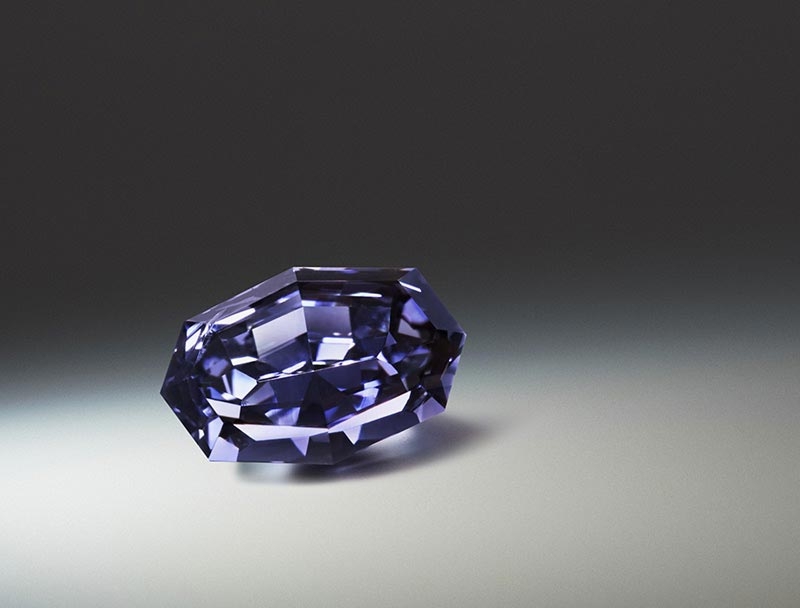 Currently, the largest Fancy Vivid Purple diamond is the “The Royal Purple Heart Diamond”, weighing 7.34 carats. it was polished by the Julius Klein Diamond Corporation. For every 25 million carats of rough diamonds unearthed from the mine, a single polished blue or violet tender stone is produced. In the 30 years of the Argyle Pink Diamonds Tender, only 42 diamonds have held a Blue or Violet GIA grading. Natural Black Diamonds are quite rare. their color is mainly caused by very large inclusions of which the majority is made up of graphite, that is why they have a greyish tint to them. black diamonds are often used in fashion jewelry mixed with their colourless cousins. the most famous black diamond is the Orloff Diamond and it weighs 67.50 carats. Most people confuse Olive Diamonds with Green Diamonds. their color is composed with the combination of yellow and green and rarely with a hint of brown or grey. in the rare occasions when they change in color due to heat, or while in the dark, they are also called Chameleon Diamonds. Grey Diamonds also occur quite rarely in nature, and at times it is difficult to distinguish between them and their colorless cousins. White Diamonds are confused with colorless diamonds very often. in the diamond industry they are also referred by the name Fancy white diamonds. A Fancy White Diamond is often “milky”, and often resemble an opal. these diamonds are treasured by collectors and connoisseur alike. Unlike natural diamonds, which are made by nature itself, synthetic diamonds are created in the laboratory. These artificial diamonds are manufactured using processes designed to replicate the natural phenomenon of diamond formation, only in a more controlled manner that condenses the timeline. What takes millions of years in nature, the laboratory can recreate in a day or two. Aside from the process, the properties of the synthetic diamond are the same as a natural diamond. Although we grouped them together, synthetic diamonds and treated diamonds are not exactly the same thing. Synthetic diamonds, also known as lab grown diamonds, are formed entirely in a lab. A treated diamond is any diamond that underwent some sort of substance altering process to alter its appearance. Such diamonds may be treated by lasers or chemical compounds to fill in impurities and thus improve their clarity, or to change their color from colorless to basically any color. Artificial coloring is also possible with an electronic accelerator, which is able to add color to colorless diamonds. A natural diamond is a diamond that has remained untouched since it was polished, allowing its natural qualities to be its only qualities. They do not undergo any changes in any laboratory. Because there is such a large variety of treatments for diamonds that are now available, it has become a more common occurrence for diamond traders to buy and sell treated or synthetic diamonds rather than diamonds that exhibit any of those qualities naturally. This is for a variety of reasons, but the most prominent is that these diamonds will cost the end consumer less money comparatively to a diamond that looked that way from the Earth. That being said, diamonds that undergo treatment are also far less valuable and the majority of end buyers who want fancy color diamonds understand this and stay far away from them, knowing the type of damage that is done to the resale value of a diamond when it is put on the market. Gemological equipment is necessary to determine the difference between a synthetic and a natural diamond, which if you think about it is very important now that color diamonds can be mass produced. The natural fancy color diamond gets a lot of its value due to its scarcity, so the industry has to work to separate natural fancy color diamonds from those diamonds that are created artificially. That being said, when buying from an honest diamond dealer, you can be sure that you are getting the real deal and not something that was produced in a laboratory. The fancy color diamond market has a lot of variety, which means that there is budget flexibility to spend just the right amount that works for you. Overextending yourself financially is never recommended but luckily with fancy colored diamonds, which come in different colors and pricing ranges, you can easily avoid that fate. It is important to educate yourself on the characteristics of colored diamonds, not only to familiarize yourself with the product that you are buying but also to ensure that the qualities that you are basing your decision upon are sound and wise. The truth is that when you are shopping for a fancy colored diamond, it will be much easier for you to make a choice and for the diamond dealer that you are consulting with to help you make your decision if you are surer about what you prefer and why. It goes beyond the concept of helping you allocate your money toward the correct diamond for your budget, and extends to the fact that it can help you make a sound investment. This is important regardless of how much you may already know about colorless diamonds. While the same basic principles of diamond evaluation – the 4 C’s – are the same in colored diamonds as they are in colorless ones, there are a lot of new nuances that are introduced in the world of fancy colors that you will not know until you learn about them. Below we have outlined these elements for you, including pitfalls of which the average consumer may not even be aware. What Makes a Quality Fancy Color Diamond? Fancy color diamonds, like colorless/white diamonds, are classified by the 4 C’s – Color, Cut, Clarity and Carat Weight. These attributes determine the value and quality of each diamond. Keep in mind that there is a difference between what levels of each quality you may prefer, and what would be considered an ideal look for that diamond color. If that is the case, bring it up when you are deciding on your diamond purchase to be sure you are choosing well. 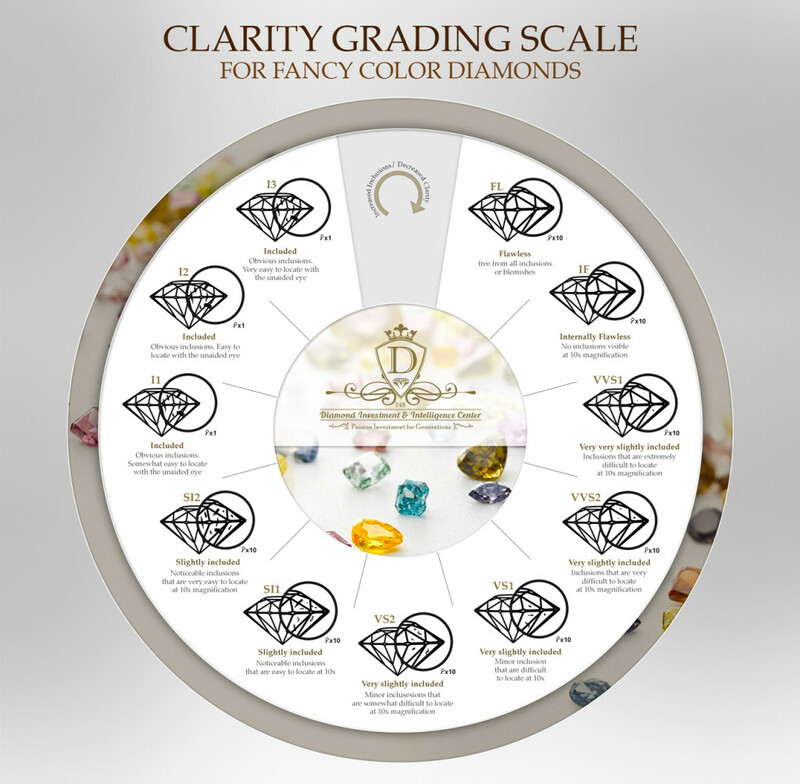 Colorless white diamonds are graded on a scale from D to Z, with D being the highest, the purely colorless grade, and Z being the lowest, a lesser quality grade with visible hues of yellow and/or brown among others. In the world of colorless diamonds, the presence of yellow or brown is considered a quality that makes a diamond inferior and less valuable. However, this fact is only true of colorless diamonds and does not extend to the world of fancy color diamonds. Fancy color diamonds are not privy to the D-Z grades and are instead graded on a separate scale entirely. Fancy color diamonds undergo a different assessment than that of colorless diamonds. The fancy color diamond is primarily evaluated to determine color intensity, with pale and light shades on the low end and distinct and deep colors at the top of the scale. The darker and deeper colors indicate a stronger presence of whatever element was included in the diamond’s formation. In the case of almost every color, diamonds of a deeper color will be worth more than diamonds of a lighter color. That being said, all diamonds are judged on 4 qualities and not just this one, so another factor can come into play and change the scales to give a higher final valuation. However, the rule of thumb remains the same and darker colored diamonds are generally more valuable than those of lighter colors. Fancy color diamonds are graded by placing the diamond face up in a well-lit environment. The GIA (Gemological Institute of America) has developed a unified color system that is universally used to grade colored diamonds globally. The four areas of assessment are Hue, Tone, Saturation and Color Distribution. Read on as we dig a little deeper to explain each category. 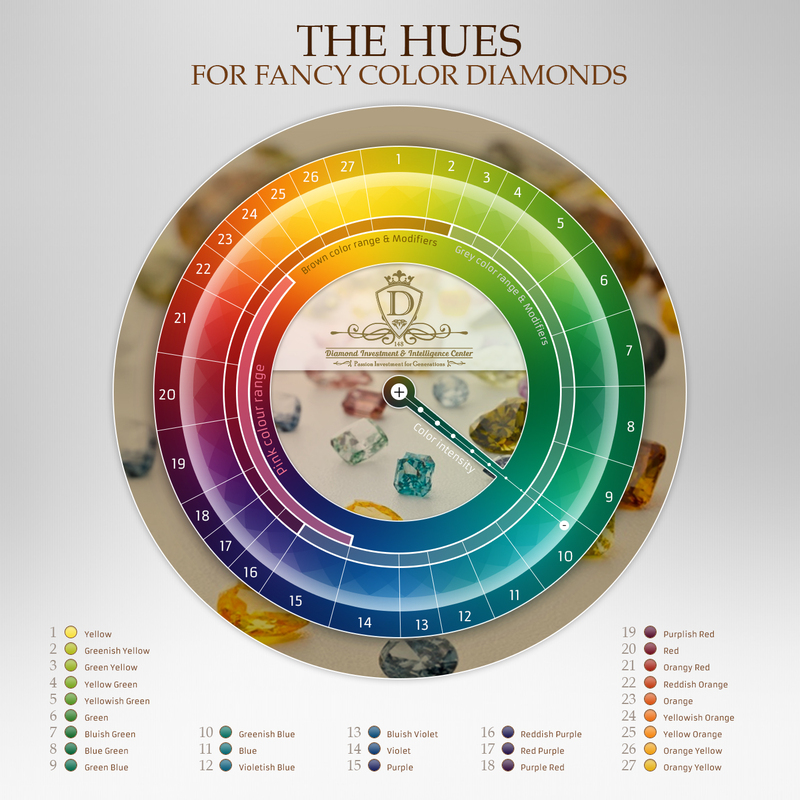 There are a total of 27 colors that cover the color spectrum of fancy color diamonds – these are known as hues. There are also secondary hues, called “over-tones”, which modify the main color of the diamond. It is also possible but not necessarily extremely common for a tertiary color to be present as well. If there is one, it is named in the color of the diamond. The main hue and the secondary hue are considered together and given a name that reflects the influence of both. 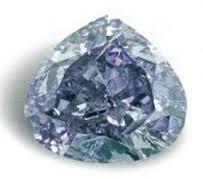 For instance, a blue diamond with a violet secondary hue is called a “Fancy Bluish Violet”. Usually, a diamond is considered more valuable when it exhibits only one color, and not any additional ones. However, there are exceptions. In the cases of extremely rare colors such as pink, a modifying color may not reduce the value that significantly. Another exception is when the secondary color is so beautifying that it undoubtedly adds beauty to the diamond’s appearance. For example, a Fancy Vivid Purplish Pink diamond is often valued close to a Fancy Vivid Pink because the purple does so much for the diamond’s appearance. Of course, like any rule of thumb, this statement isnt necessarily set in stone but must be taken with flexibility in mind. Every diamond is different and therefore it is important to ask these questions about specific diamonds that you may have had in mind rather than asking about all diamonds as a group. The category names are rather self-explanatory. These are not judged subjectively but rather objectively, as color is determined only by professionals and through very specific professional guidelines. 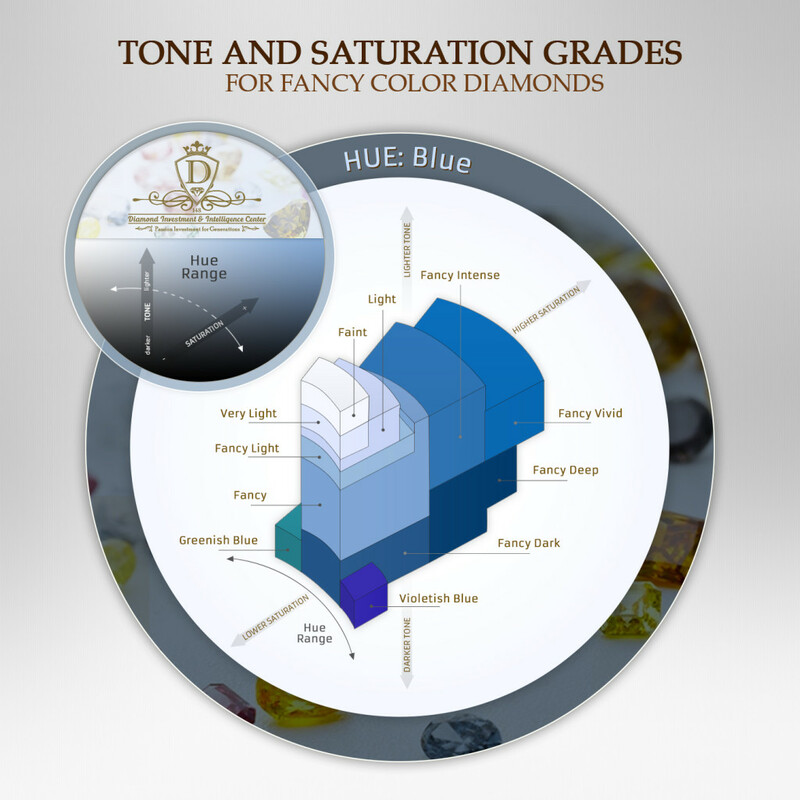 As with Tone, the category names for the Saturation of color in a fancy color diamond are rather self-explanatory, although it is only ever determined by professionals and only by professional guidelines. These are the color qualifications that you will recognize when browsing through fancy color diamonds. Below, we have included an illustration to give you an idea of how each color designation looks in relation to an actual color. In this case, we have chosen blue for this demonstration. The final factor, when grading a fancy color diamond, is that of color distribution. This concept is defined by how prevalent the color is spread throughout the diamond, and ranges from Uneven to Even. The more even the distribution, the more visually impressive and valued the diamond will be. 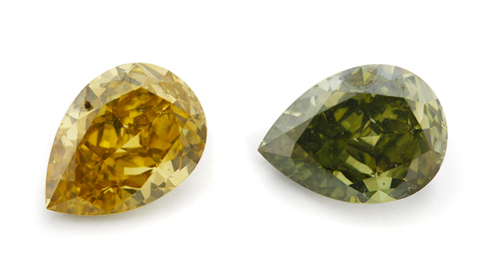 In other words, a diamond with uneven color distribution that is fancy intense yellow can look completely different from another fancy intense yellow diamond if it has even distribution. This can occur for a variety of reasons, including the style of cut that the diamond cutter gave to the stone, the shape in which the diamond was cut, how the diamond absorbed its color when it was originally formed under the earth, and many more reasons. The diamond formation process that takes place in the earth’s crust is not like the fine-tuned scientific and precise processes that are found in the laboratory. The pressure and the heat of the chaotic and unpredictable natural diamond formation process will often cause inclusions and blemishes in the final product. A diamond may exhibit both inclusions and blemishes or just one or the other. Inclusions are internal flaws in the diamond whilst blemishes are external flaws. The clarity of a diamond is a determination as to how many flaws are present, both to the human eye and merely under a microscope. When a diamond is assessed the flaws are graded on size, number, nature and location. Although the flaws are caused naturally, the most valuable diamonds have absolutely no flaws present, the more flaws that are included, the less valuable a diamond becomes. That being said, it is very common for fancy colored diamonds to be flawed. In fact, the concept of clarity is completely different in the world of colorless diamonds versus as it is in colored diamonds. It is actually quite simple. In colorless diamonds, flaws are significantly more noticeable, whilst in colored diamonds, the color is far more dominant (unless the flaws have an overpowering presence). Clarity has six grades, some of which have sub-categories, creating a total of 11 total categories. Flawless (FL) –Diamonds that have no blemishes and inclusions, even under magnification of 10x. This is the rarest clarity to find in a diamond, colorless or fancy colored. Internally Flawless (IF) – These diamonds may have some small blemishes on the surface, but internally there are no inclusions, even under 10x magnification. Very, Very Slightly Included (VVS1 and VVS2) – Internal inclusions and characteristics that are not easily detected even by a skilled grader are present under 10x magnification. Very Slightly Included (VS1 and VS2) – Internal inclusions can be detected by a diamond grader under 10x magnification. Slightly Included (Sl1 and SI2) – Internal inclusions and external flaws are noticeable under 10x magnification. Included (I1, I2 and I3) – Inclusions and flaws that are clear under 10x magnification and may affect the brilliance of the diamond. Clarity may be a vital characteristic in colorless diamonds, but this is not the case with colored diamonds where inclusions are covered up by the color saturation. As was elaborated upon above, fancy color diamonds are evaluated primarily on the characteristics of color and color intensity. This is not to say that clarity does not have a role to play in the value and your ultimate purchasing decision. The skilled diamond grader will still be able to notice flaws under the microscope, even if they are not noticeable to the naked eye of the customer. This is normal for diamonds, but may or may not affect the value of the diamond. Note that the average clarity of fancy colored diamonds is SI1. Inclusions that are the same color as that of the diamond are not only unnoticeable to the untrained eye, they can often increase the brilliance of the diamond. The cut of a diamond, which includes proportion, polish and symmetry, goes a long way to determining how beautiful the diamond is perceived to be. The expression “a diamond in the rough” actually applies to diamonds themselves, as a rough diamond has potential that needs to be realized by a skilled diamond cutter. It is the cutter’s job to bring the best brilliance out of the stone without losing too much of the total weight in the process. Brilliance – The total light reflections radiating from the diamond. Fire – The scattering of light into various colors. Scintillation – The amount of light produced by a diamond that is moving. 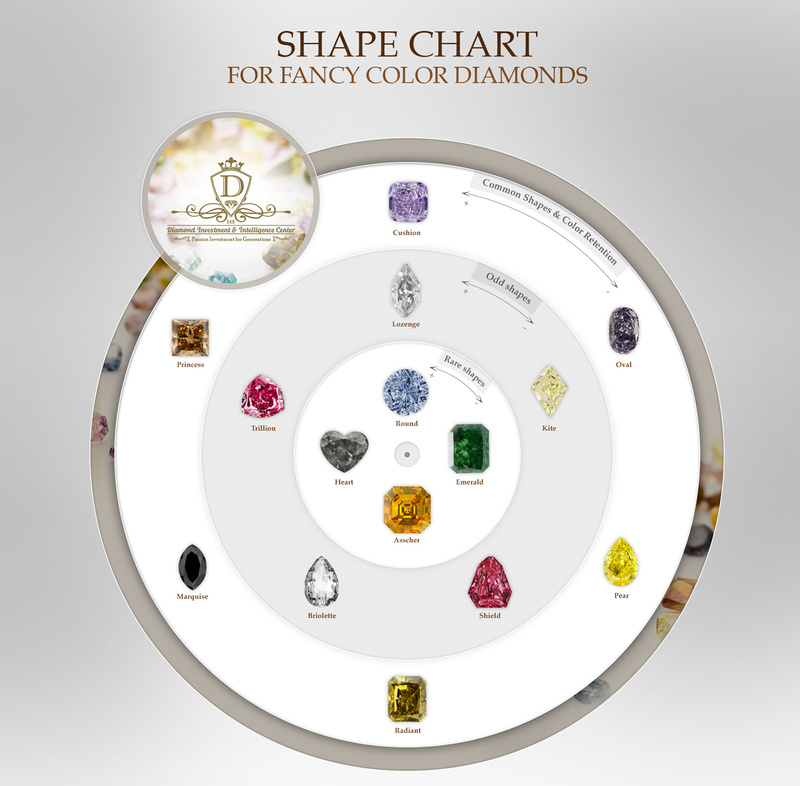 Another very important aspect of choosing a fancy color diamond is deciding what shape you prefer. The shape of a diamond is absolutely not the same thing as the diamond’s cut. Shape” refers to the top down view of the outward form of the diamond. “Cut” refers to the dimensions, finish and the reflection of light. Different shapes can be cut similarly, but the shape remains different. For example, you can have a step cut Emerald shaped diamond and a step cut Asscher shaped diamond, but an Emerald shape will not look like the Asscher shape although they have the same cut. The shape is how the diamond cutter feels the diamond will look its best and portray its color the strongest. Fancy color diamonds do not typically come in Round, Princess and Emerald shapes, as those shapes are the ones that were designed to produce brilliance in colorless diamonds. You’re going to want a shape that is best suited to emphasizing the color of the diamond. The best shapes for accomplishing that aim are Radiant, Cushion, Pear, and Oval. Radiant and Cushion shapes are perfect for absorbing light, which in turn will enhance the natural color of the diamond to the viewer. Oval and Pear shapes are the most expensive shapes because, in short, they enhance color visibility to the greatest extent. The arrangement of the facets also does a great job in concealing any imperfections present in the fancy color diamonds. When fancy color diamonds are cut into round shapes it is normally with the rarest Vivid, Deep and Dark color grades, because the darkness of the color saturation compensates for the color that escapes due to the Round Brilliant shape. Carat is the unit of measurement for the weight of diamonds and other gemstones. 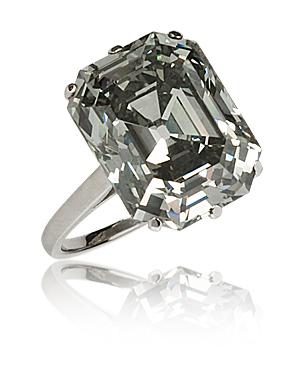 It consists of 100 points, so a thirty point diamond is 0.30 carat. One carat is equal to 0.2 grams on the traditional metric weight system. Diamonds found in jewelry can weight anywhere from 0.01 carats to over 100 carats. Weight is a separate measurement from size and two diamonds with the same shape and weight might not necessarily have the same measurements of length, width and height. A greater weight and size normally means a more expensive diamond, but even a small fancy color diamond can be made to look larger when shaped and mounted with skill. Carat weight is measured on a special scale for diamonds and gemstones that is set to be able to measure such stones according to the parameters of carats. Therefore, not only is carat weight not the same thing as the size of the diamond, it is also not the same thing as its metric weight. That being said, carat weight is most commonly confused with stone’s size. Two stones can be of the exact same carat weight and even be the same shape but be of different sizes because of how the diamond cutter cut the diamond. Since diamonds are made up of different segments (table, crown, girdle, and pavilion), the diamond cutter makes the decision upon seeing the rough diamond how much he will allocate for each of these parts in the final cut of the stone. For example, one 1 carat diamond may have a deeper pavilion than another 1 carat diamond and may therefore look smaller from a top-down view, or set into a piece of jewelry. Carat weights completely vary depending on the diamond color. As certain chemical alteration processes are much more common than others under the Earth’s crust, it is more likely to discover diamonds of certain colors and colors of certain sizes than others. For this reason, there are only 3 red diamonds with a carat weight over 5 carats (and all are less than 6 carats), but many yellow and brown diamonds above 50 carats exist. 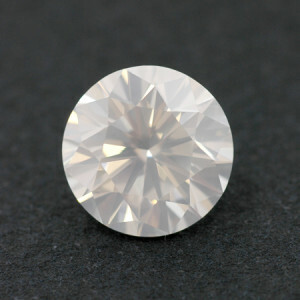 Because it is so rare to find certain colors above certain carat sizes, this can have a large influence over the diamond’s value, even if the color that is exhibited is a light one. For example, a 25 carat Fancy Light Pink diamond will be worth much more than a 5 carat Fancy Vivid Pink diamond, entirely because of the size. Of course, this reality can always change and for this reason it is imperative to make sure that you are paying a fair price for the diamond that you have chosen, and are not being overcharged, which is best accomplished by buying through a trustworthy diamond dealer. While the characteristics of diamonds are known as the 4 C’s and have been for decades, the reality is that there is a fifth C that is almost if not just as important as the original 4 C’s. The fifth C is the diamond certificate or grading report. This document will include the complete evaluation from an expert gemological team, giving you the authenticated information about your diamond in writing, and listing the proof that your diamond exhibits the qualities that you were told that it has and that you paid for. This certificate is the entire reason that you would feel secure about your investment. Cut, clarity, color and carat will all be measured and subsequently recorded in these documents, along with any defects in the stone. 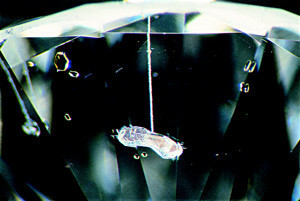 This will serve as evidence of the diamond’s authenticity should you choose to resell or reevaluate your diamond. Because the color of fancy color diamonds never fades, and the attributes of diamonds are completely permanent, coupled with the fact that diamonds are virtually indestructible and almost nothing will cause them harm, what is written on your certificate at the time that your diamond is evaluated is guaranteed to be the same information if the diamond is even checked up on. The certificate can be produced by a number of labs across the globe, but the most famous and trusted laboratory for fancy color diamonds is the GIA. Usually, you will want a diamond with a GIA certificate because it is the most universally recognized. For example, the most impressive and expensive diamonds in the world are always sent to the GIA for certification and not any other lab in existence, although other such labs do exist. Be aware that grading diamonds is carried out by humans, and it is possible that what one laboratory grades a diamond may differ from the certificate that another lab would produce, although usually it won’t differ by such a large margin. Certain laboratories, including the GIA, will not grade enhanced diamonds on principle. If they do grade them, they will indicate that the diamond was enhanced quite clearly on the certificate. Occasionally, by sending in a diamond to be professionally graded, it has been discovered that a diamond was clarity or color enhanced. That is the beauty of a third party grading laboratory – they are objective and will write all of the important details on your diamond’s certificate. The more established a grading laboratory is, the more you can trust their certification. 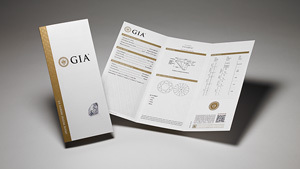 Below is an example of a typical GIA certificate. It can be hard, but make sure you resist the temptation of a seemingly good deal for a diamond that has not been certified. The diamond certification is your guarantee that the diamond is authentic and exhibits the qualities that the seller is telling you that it has. Without a certificate you have no idea what you might be buying, and regardless, you are going to need the certificate for insurance purposes. You can also be sure that if you’re looking to sell it one day, your buyer will expect to look over a respected (stay away from online stores that offer “self-certification”) diamond certification. A certification is not an appraisal. Certifications include precise characteristics of a diamond with no monetary value attached. Appraisals do the opposite – they provide a market value but do not include information on the characteristics. Thankfully these scams are not common practice but make sure that you deal with trusted sellers. We’d be happy to advise you before you make a purchase. If you are looking for an affordable option for a fancy colored diamond, here are two vital tips to find the best bling for your buck. Buy Lower Color Grades – Significantly cheaper but will still look stunning to the human eye, particularly when mounted on gold and platinum. Buy Lower Clarity Grades – Diamonds with more inclusions are a great way to find value. If a diamond is cut brilliantly, small flaws will be near impossible to spot with the naked eye. Buy Just Under Your Desired Carat Weight – Diamonds are prices in increments, so a 1.00 carat diamond will cost more per carat than a 0.75 carat diamond. Diamond price is calculated by a per carat price multiplied by the carat weight of the diamond. Therefore, if you are after a 2.00 carat look for your diamond, you can buy a 1.85 carat diamond and if it is cut right, it will look just like a 2.00 carat. Some people are nervous about buying expensive purchases online but we are here to reassure you. Purchasing diamonds online is now a common industry practice that is as safe as buying from a store. Today, online stores are able to provide high quality digital images of diamonds from multiple angles and being able to assess a diamond in your own time, without the pressure of a sales person, is a preferable experience for a lot of potential buyers. As long as you are buying from a reputable company, and this is easily verifiable with an internet search, you can be sure that you are getting what you are paying for. Lower Prices – Money saved from not having “brick and mortar” diamond shops include rental space, displays and security – also known as overhead costs – are passed on to the consumer, providing exceptional deals. Wide Selection – Fancy color diamonds are a rarity in “brick and mortar” stores. Online stores carry a large inventory of colorless and fancy color diamonds, so you are not limited in your choice, and are more likely to find just right diamond for you. You will not be forced to choose any diamond that is not perfect for your needs, desires, or budget. Convenience and Speed – You can shop at your convenience, whenever you please, and take as much time to decide as you would like (assuming the diamond that you have your eye on is not bought by someone else). You can have your order arrive at your doorstep within a couple days and can return it if you aren’t satisfied. You can even compare diamonds at home before making your final choice. Many online diamond retailers also offer the option of viewing diamonds in person in case a customer really is wary of buying a diamond without seeing it. It is worth asking the retailer whether this service is an option, if it is that important to you. That being said, with free shipping and free returns, you may choose to have it sent straight to your front door instead of going into a brick and mortar location for the aforementioned convenience factor. It may now be time to seriously consider adding a stunning fancy color diamond to your portfolio or even surprising a loved one with a gift that they will never forget. You now have a solid understanding of fancy color diamonds but there are a few more lessons to take to heart before you invest. Unlike with colorless diamonds, clarity and cut are not the most important factors when purchasing a fancy color diamond. The three factors that have the most effect on value are the rarity, the intensity of color and the weight and size of the diamond. Buying a diamond is be a very personal choice. If a particular diamond speaks to you then we are not going to dissuade you from making that purchase. However, if you are able to be as objective as possible, we would advise looking for a diamond with the best color and a cut that makes the color really “pop” when viewed with the naked eye. If you are seriously considering a diamond as an investment, we urge you in the strongest possible way to speak with a fancy color diamond investment specialist. This is for many reasons, but the main one is that a regular diamond dealer may know his diamonds, but will probably not be able to recommend a diamond and an investment strategy route that will bring you the highest ROI. We Will discuss this topic in further details in the Diamond Investment Guide. Only a consumer who truly feels comfortable with what they are purchasing will end up buying the product that interests them. Whether or not you choose to take time and do independent research, the majority of diamond dealers will certainly take the time to explain to you any questions that you may have about these diamonds or about the diamond purchasing process. However, it will help ease the process both for you and for the retailer from whom you are purchasing if you come into the negotiation armed with knowledge and information about what you want and what you plan to get out of it. You would be surprised as to the tips and suggestions that a dealer or jeweler will offer to help guide you to the perfect diamond for you. The most important thing to remember is that buying fancy color diamonds is not the same logic or process as buying colorless diamonds. even if you are already a seasoned expert in buying colorless diamonds, do not be quick to generalize principles from one area to the other. In colored diamonds, the color is the most important attribute, followed equally by clarity, carat weight, and cut. Also, if you find yourself drawn to a specific color or color combination, be sure to vocalize this as this can be a significant contribution toward finding and buying the perfect diamond for you. While it is true that no 2 colored diamonds in the world are alike, and once a diamond is bought you will never find another one like it again, it is very possible that a dealer or a jeweler can get their hands on a very similar one for you. After all, that is how earrings are paired – 2 diamonds that are as similar as possible given nature’s limitations. Be sure to speak up and ask questions, and you will be rewarded with the diamond of your dreams. What Are the Colors of Fancy Diamonds?